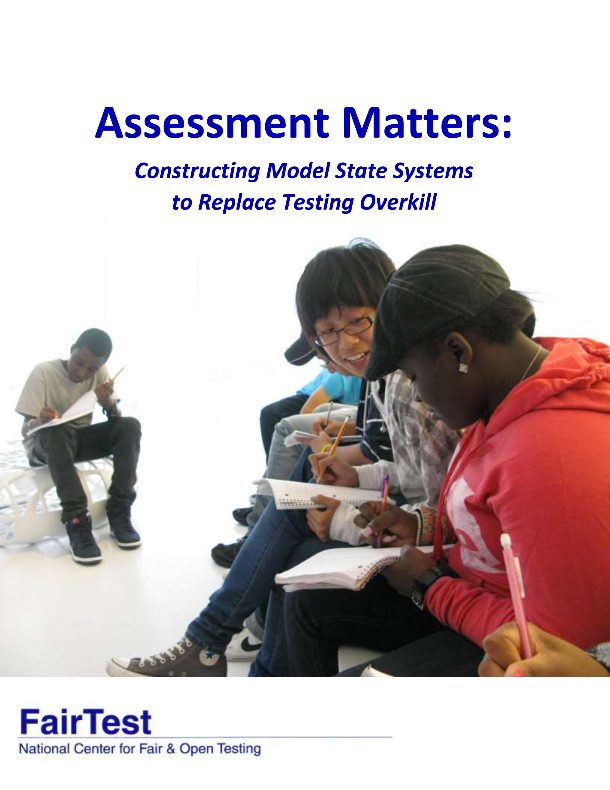 For decades, FairTest has been the go-to organization for people seeking better, saner ways to assess student work and school performance. They have just issued a comprehensive report, Assessment Matters, that looks at alternatives to the test-and-punish tactics of the No Child Left Behind era. Definitely worth a read.